Use the info form below or call us at 248-645-6070 to set up an appointment. Our Birmingham Chiropractors: Dr. Jennifer Turnbull Bonde, and Dr. Rob Iannucci focus on wellness care to promote healthy lifestyles along with partner, Celebrity Nutritionist and Media Personality - Dr. Kellyann Petrucci. At Birmingham Wellness Center, we aim to provide wellness care to patients to help them achieve and maintain a healthy lifestyle. Birmingham chiropractor's Dr. Jennifer Turnbull Bonde and Dr. Rob Iannucci are accustomed to a healthy way of living and they incorporate natural chiropractic techniques and therapies into their treatment, as well as guidance on Dr. Kellyann Petrucci's Paleo/Primal nutrition for our patients' wellness plans. Birmingham Chiropractic services at our center are designed to increase the level of wellness for our patients; as well as treat patients suffering from work-related or sports-related injuries, high levels of stress or from conditions ranging from headaches to more chronic conditions such as fibromyalgia. Care at our wellness center may include spinal adjustments, sports chiropractic treatments, Applied Kinesiology, and nutritional counseling for patients looking for injury relief and pain management. Our staff also features a team of licensed massage therapists who offer massage therapy including Swedish massage, Thai massage and hot stone massage to relieve pain, reduce stress and restore a patient's health. Our chiropractors offer sports chiropractic treatments including Applied Kinesiology (AK) to help patients with back pain or to help patients who have suffered an injury as a result of an accident. Applied Kinesiology allows our Birmingham chiropractor to diagnose and treat patients by testing the weakness and strength of muscles. AK uses a combination of therapies, such as nutritional counseling, joint manipulation, myofascial therapy and reflexology to heal a patient. It's designed to treat joint injury, damaged ligaments, and tissues and to determine how well the body is performing. Additional therapies include massage therapy and the use of WellWave therapy. WellWave therapy is a trigger point shock wave therapy. It represents a more modern and advanced form of therapy designed to help relieve chronic pain. WellWave therapy works by creating a pulse of electricity that breaks the sound barrier. The shockwave is applied to the area where pain is present. The wave produces thousands of small bubbles in the area, which burst, stimulating the cells of the body and breaking down areas of calcification. The therapy leads to a temporary relief of pain as well as long-term pain relief, ultimately improving a patient's feeling of well-being. Nutritional counseling is an additional key part of wellness care at our clinic. Dr. Rob Iannucci offers customized nutritional counseling to patients to help them restore their health or to help them continue to live healthy lives. We provide Bio-Impedance Analysis Testing which measures several elements within the makeup of the body that can determine the wellness quotient for patients trying to lose weight and manage a healthy lifestyle. Wellness Score evaluations based on x-rays, posture, core strength and neuro-spinal function will help map out a chiropractic care plan to allow you to achieve an optimal level of health and well-being. During your initial evaluation, our Birmingham chiropractor will determine which combination of techniques and therapies will work best for you in order to enhance well-being and reach optimal pain-free results. Birmingham Wellness Center provides wellness care for patients in Birmingham and the surrounding areas of Oakland County, Troy, Bloomfield, Royal Oak, and West Bloomfield. To schedule an appointment, please contact our office today at 248-645-6070. 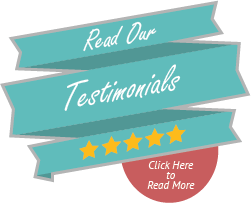 "I have been going to Birmingham Wellness Center for help with some rather painful arthritis in my hands. Other Chiropractic I have tried has helped keep my back in shape, but they could do nothing for my hands, shoulders and elbows. Birmingham Wellness Center can address the full range of issues the arthritis has caused, thus eliminating the need to see other specialists."